Since its founding in 1994, IMP has expanded GW’s reach around the world, completing around 60 international projects with partners in nearly 50 countries; providing education, training, and resources to more than 15,000 international and GW participants; and applying medical knowledge and skills worldwide through humanitarian missions overseas. 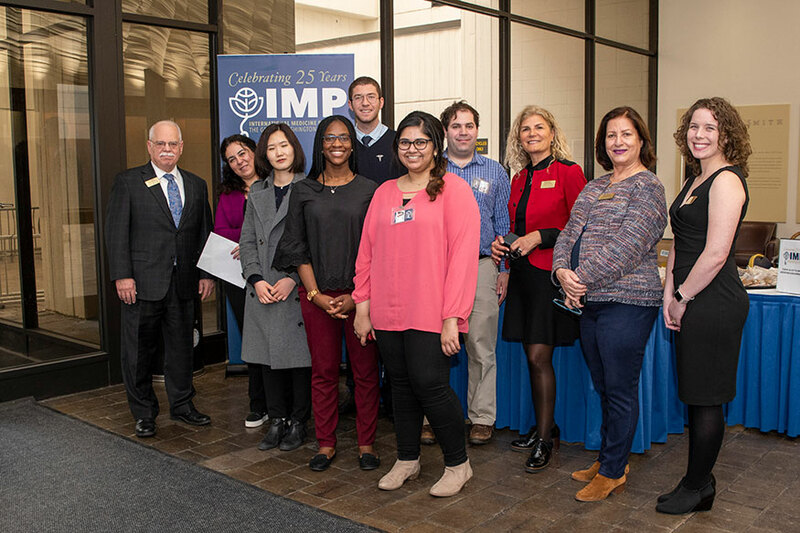 IMP began its yearlong celebration on Feb. 7 by holding an informational welcome in the Ross Hall lobby to commemorate the history and achievements of the office. Students, faculty, and staff stopped by for snacks and gifts and to learn more about IMP’s successes and the opportunities it offers for GW community members to gain educational, training, and research experiences abroad. In the months to come, Ayas said IMP will celebrate through lectures and special visitors to campus, as well as with IMP’s annual banquet in the fall. IMP’s primary mission is to cultivate global partnerships and create transformational mutual exchange programs in medical education, training, and research. IMP also seeks to provide life-changing opportunities to build the medical education and health care capacity of other countries and share the latest innovations in medical practice and research. In support of these goals, IMP has developed a wide range of programs to serve international medical students and medical graduates seeking education in the United States, as well as supporting international opportunities for the GW community. IMP’s programs include: the Global Health Track, designed to help expand GW medical students’ awareness of international health systems and global health; international clinical electives and rotations, to give GW students the opportunity to diversify their medical education in a different cultural context, as well as providing international medical students the opportunity to be exposed to the American medical education and health care delivery system practiced at GW; and the MD Program for International Students, which allows participants to gain a world-class medical education at GW after their undergraduate studies, so they can return to their home countries to apply U.S. healthcare standards there. IMP has also developed unique and important relationships with more than 50 higher education institutions overseas. IMP has held successful research summits at partner universities in Thailand and Brazil, with the goal of fostering intellectual exchange and allowing GW faculty members to lend their expertise to growing medical institutions. More recently, in January 2018, GW researchers joined colleagues in Madrid to focus on expanding research collaborations between the United States and Spain. The event was organized by the GW Cancer Center, SMHS researchers, and IMP, alongside Spanish co-sponsors Puerta de Hierro Hospital and Research Institute and the Universidad Autónoma de Madrid. As for what the future holds for IMP, Ayas said she is looking forward to another 25 years filled with increased international partnerships and even more opportunities for the GW community.